Lemosys Infotech is an ISO Certified Company having its operations in India and United States. The company was formed in 2007 with an aim to become the highest quality website development and designing company in the world for offering excellent services and delivering standard value to our customers and associates. Lemosys is the dominant IT Company in Asia. Our company has reached world-class practice in the field of web and mobile applications services. 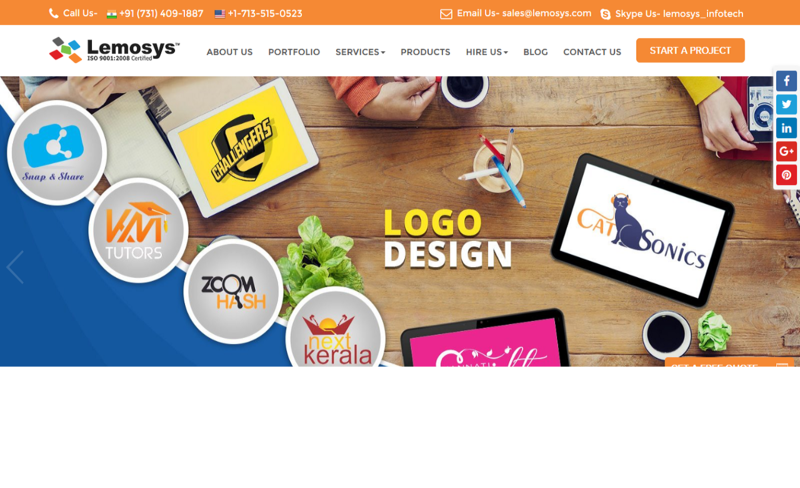 Lemosys Infotech has team of 45+ young, dynamic, talented, dedicated employees, as well as certified and 5-8 years expertise web developers/designers who offer valuable services to all our wide-reaching clients. Today, the company has proliferated across the globe with its professional team operating in 3+ global countries (India, USA, Dubai) and having 400+ satisfied clients by our services offerings globally. We have a creative team of skilled professionals who has in depth knowledge in various technologies including Open source technologies PHP, CMS (WordPress, Magento, Shopify), Framework (CodeIgniter and Laravel), Mobile Application Development (IPhone and Android), Digital Marketing (Search Engine Optimization and Internet Marketing) and Testing. We provide an array of solutions for all industry verticals including enterprises, healthcare, real estate, law, Masjid, retail, e-commerce, e-governance, and education. Our solutions also include CRM, ERP, POS, project management and collaboration. Hire expertise to get up-to mark IT Services for your business, Get a Free Quote Today.